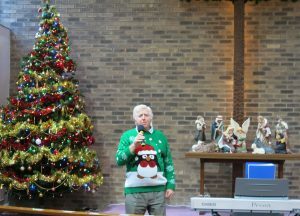 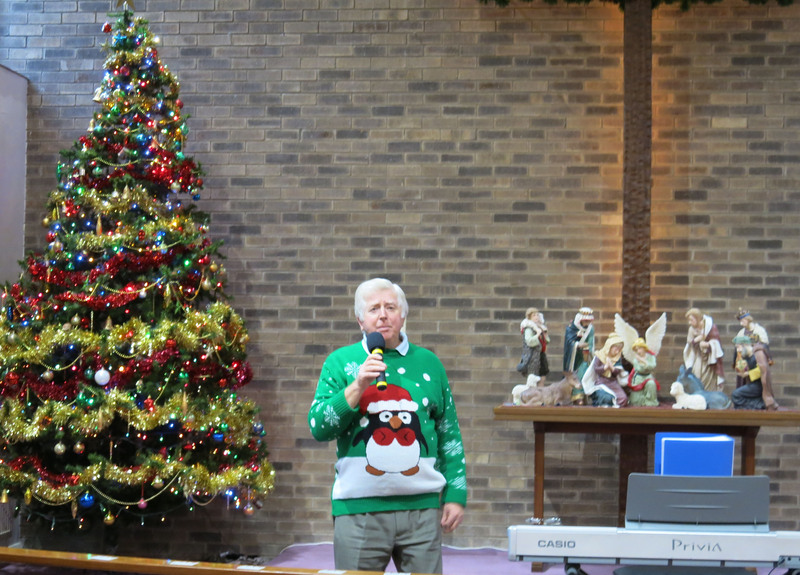 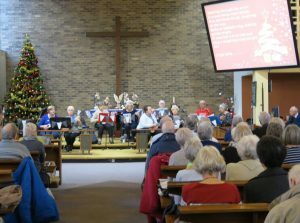 Tony Hatton played a selection of Christmas no. 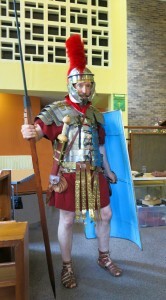 1 hits. 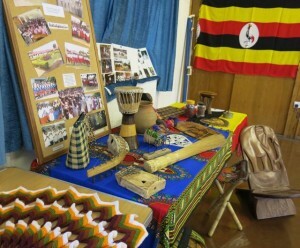 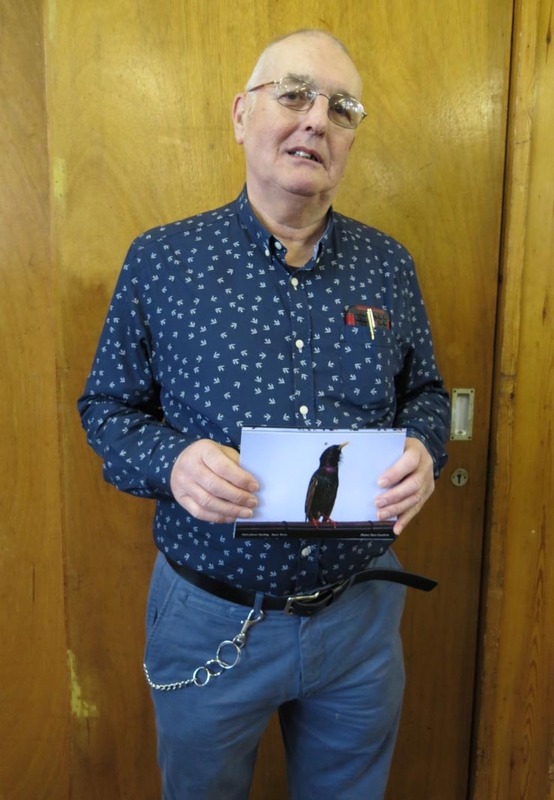 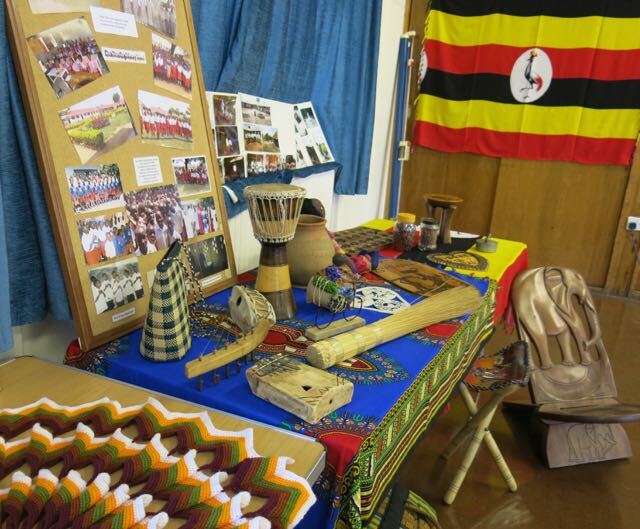 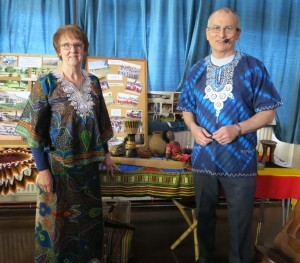 Mike Newbold told us about his work as an ‘extra’ on T V.
Jim & Lorna display items from Uganda. 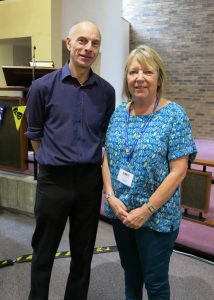 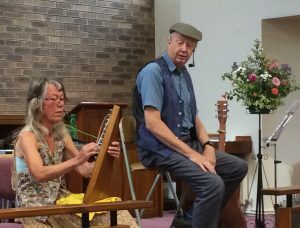 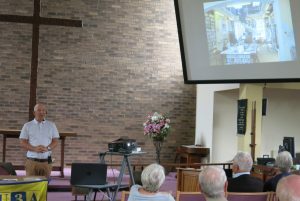 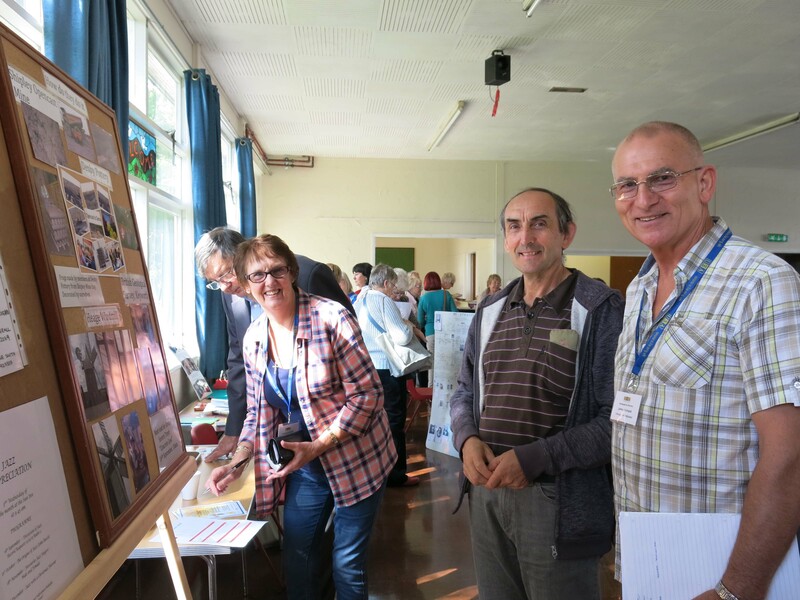 Jim & Lorna spoke about their work in Uganda. 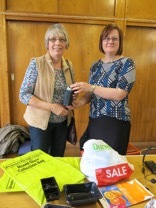 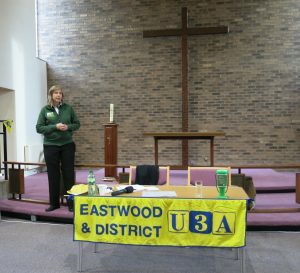 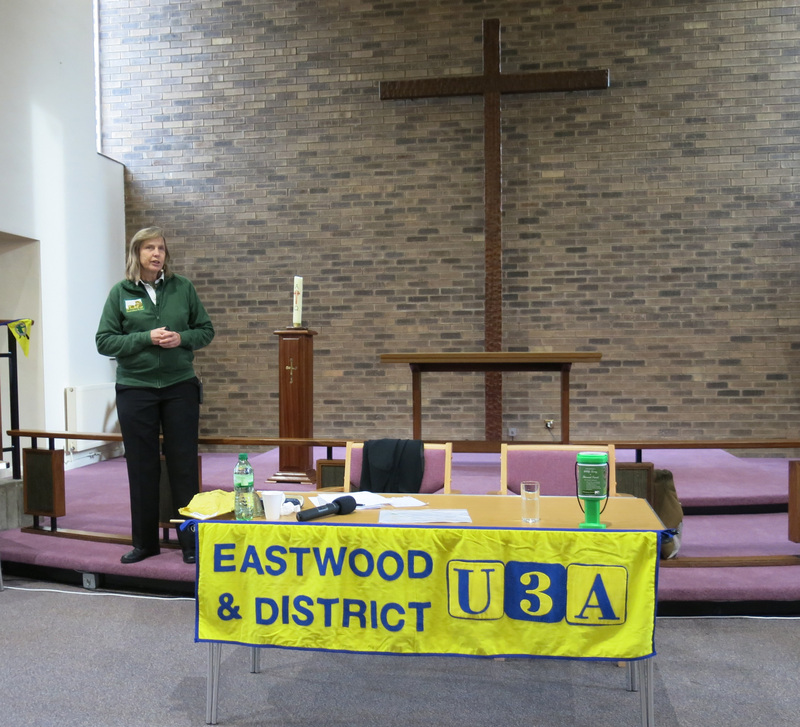 We had an informative talk from Broxtowe Recycling rep. Judith won the quiz. 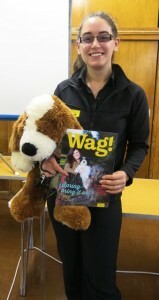 Ella Tongue from the Dogs Trust. 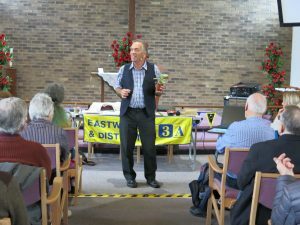 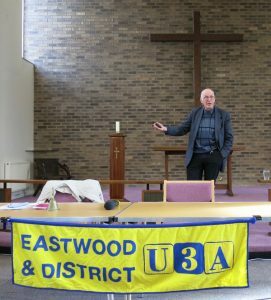 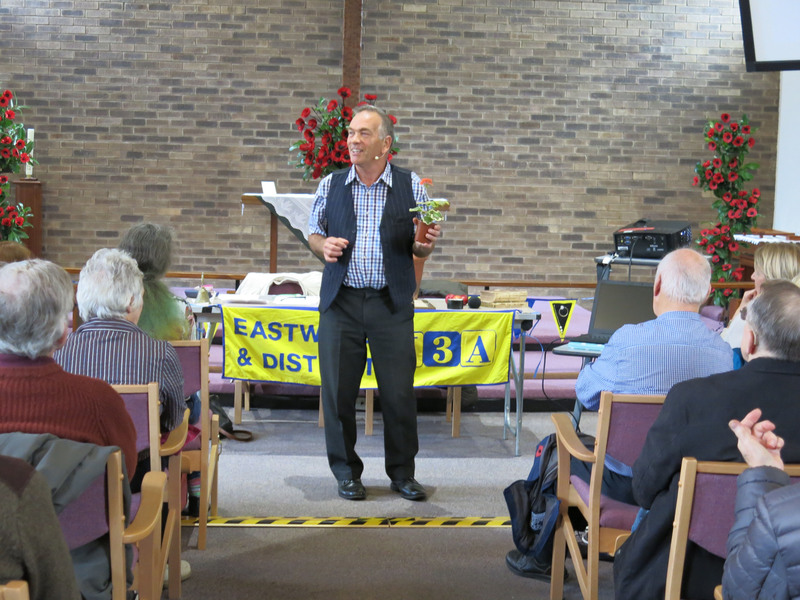 Geoff Green author spoke about his work and interest in the Coal mining industry. 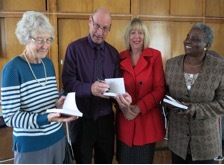 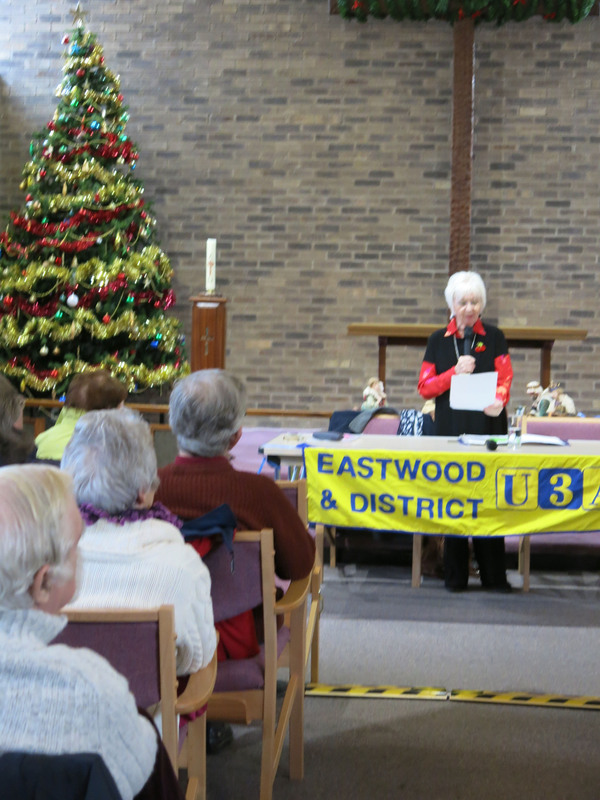 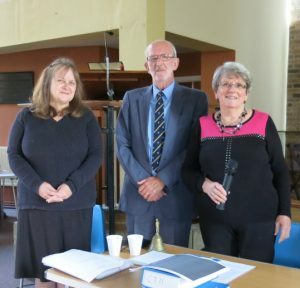 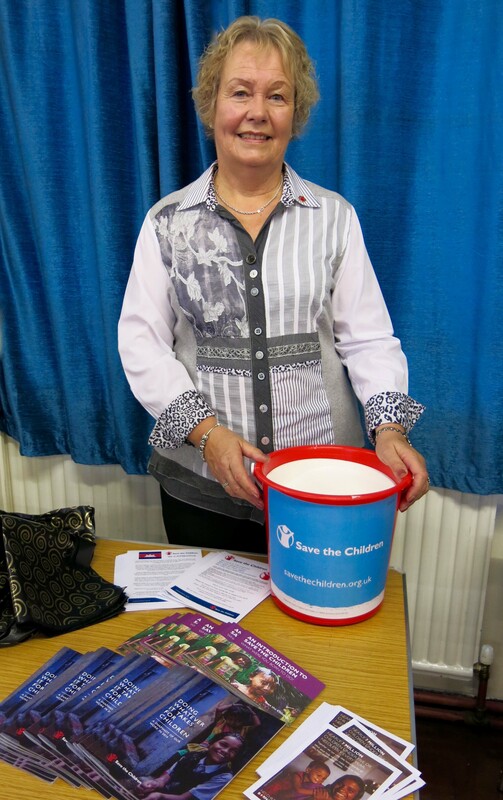 Jane Piggott spoke about the development of Save the Children charity. 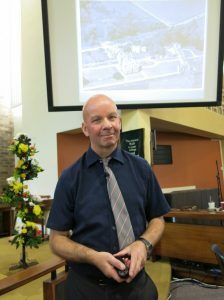 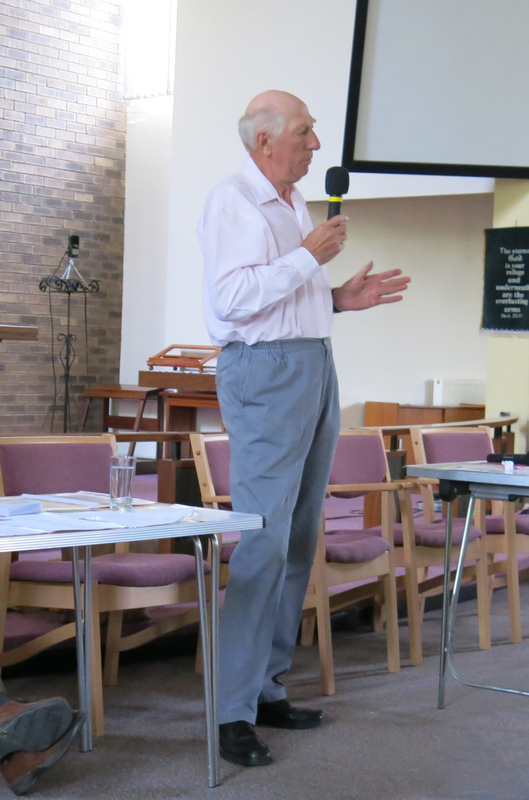 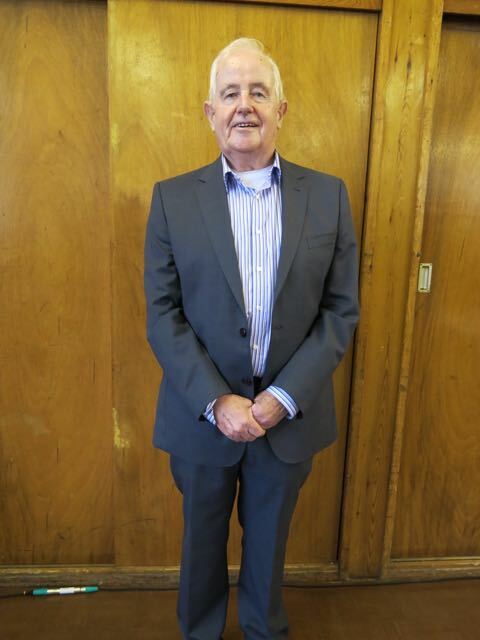 Barry Davies spoke about ‘Saints & sinners in the classroom’. 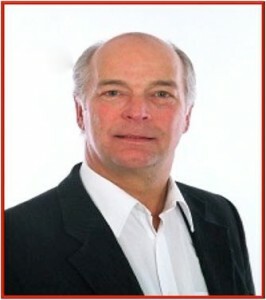 Peter Graves -Embarrassing cases of mistaken identity. Dave Goodwin – R S P B.
Rosemary Beney spoke about the history of Velocipedes. 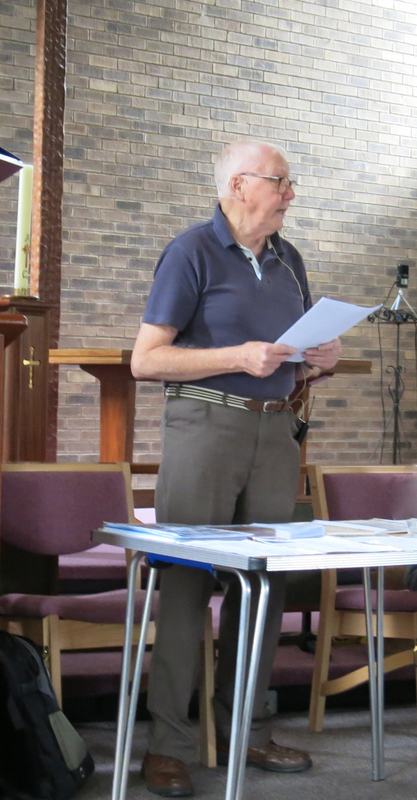 David Amos who told us about the history of Annesley Hall, village and coal mine. The Poetry group read a selection of poems , some written by the group. 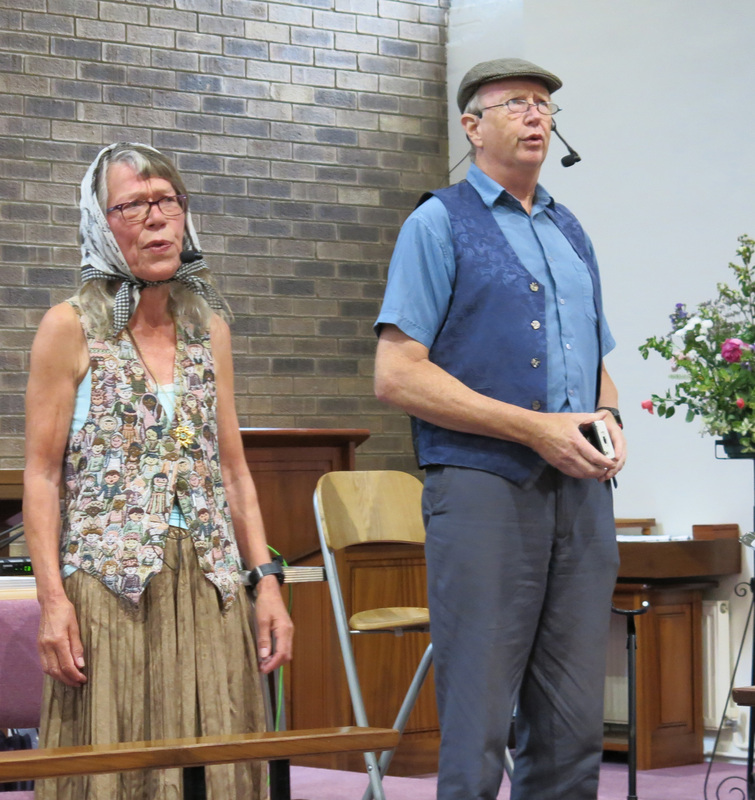 The Maxwell family! 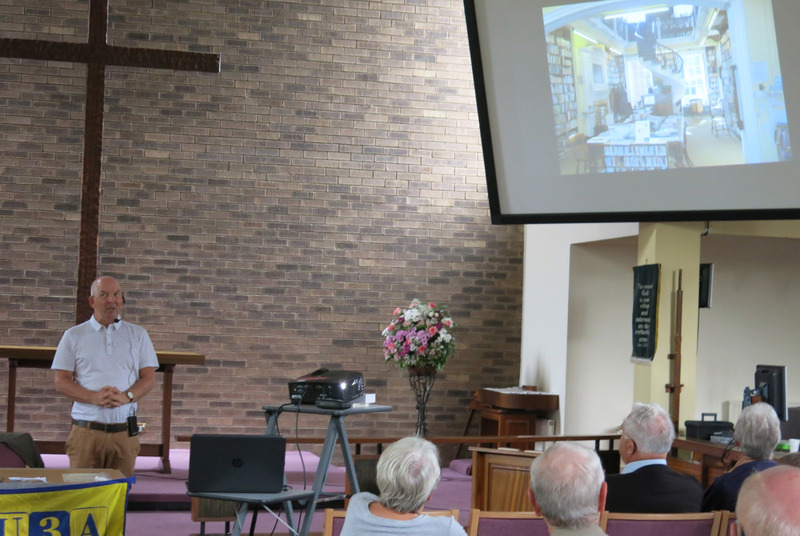 A presentation by the Creative Writing group. 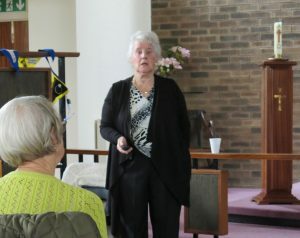 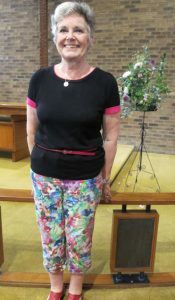 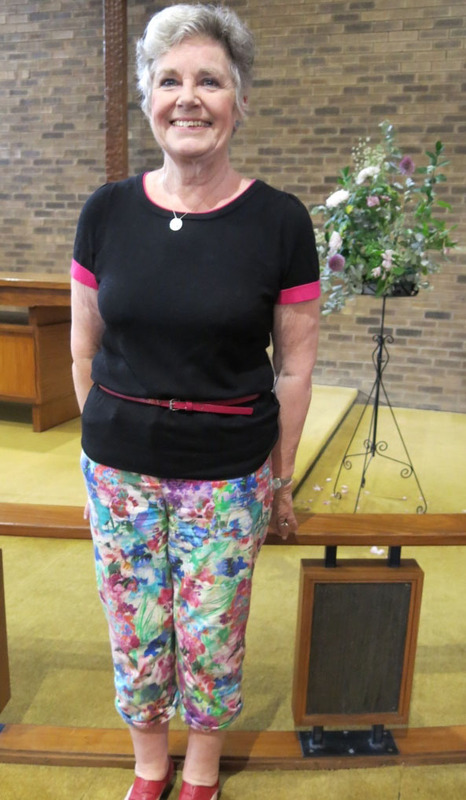 Pat Hall entertained the group with her talk entitled ‘Life Can Be Funny’. 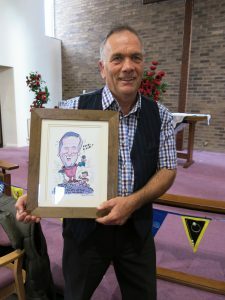 Mike Storr spoke about Masters of Mirth from the Music Hall days, with very entertaining monologues. 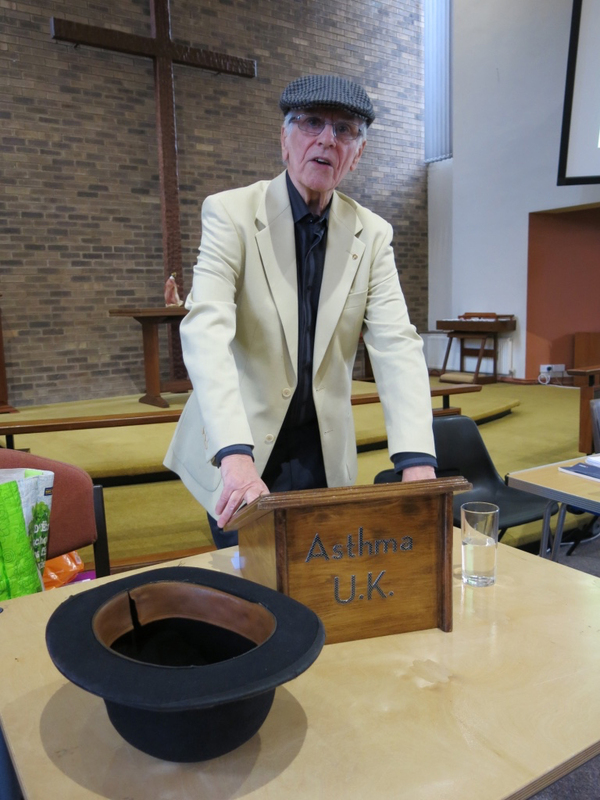 Donations went to Asthma UK. David Bell, the Plague doctor from Eyam. 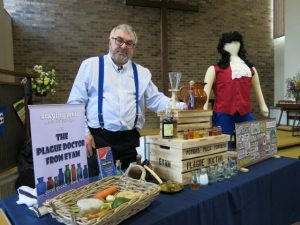 A look back at the world of 17-century medicine, with its barely believable cures and fanciful procedures. 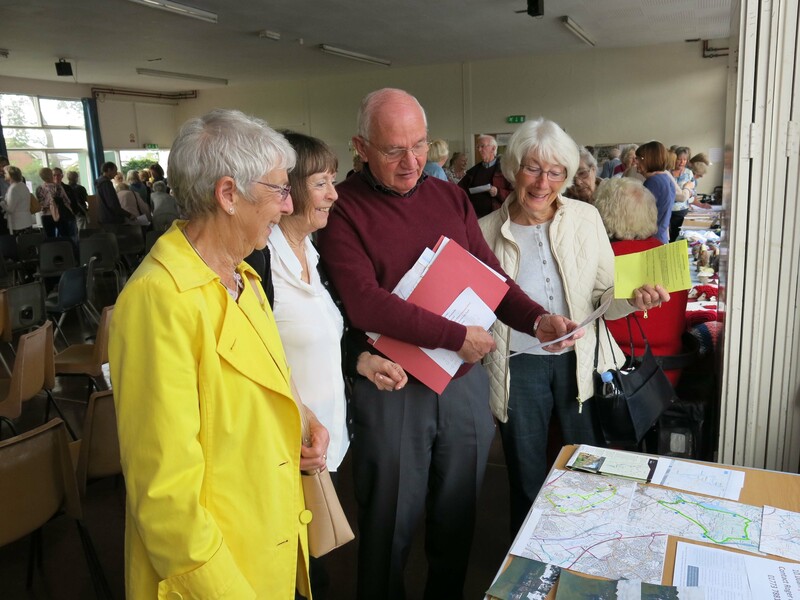 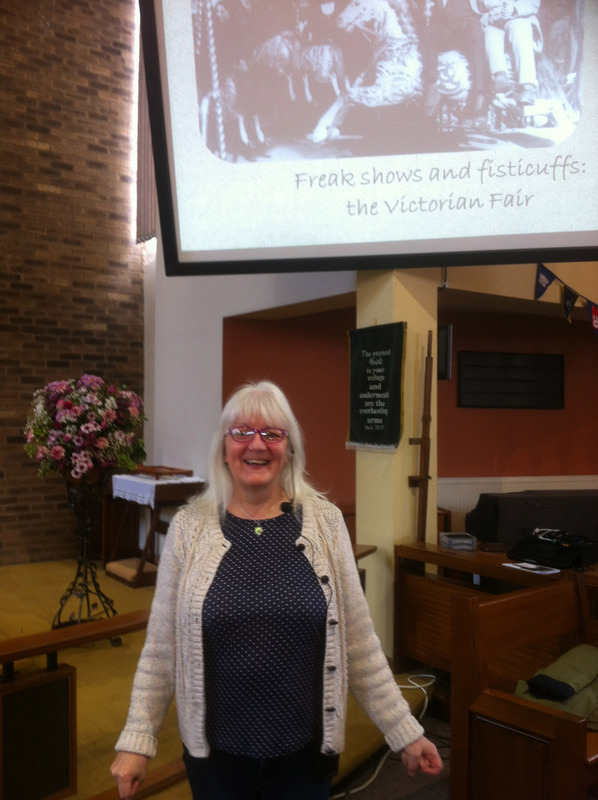 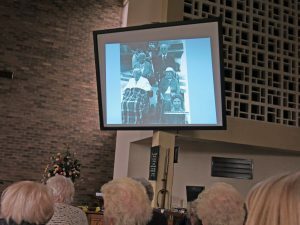 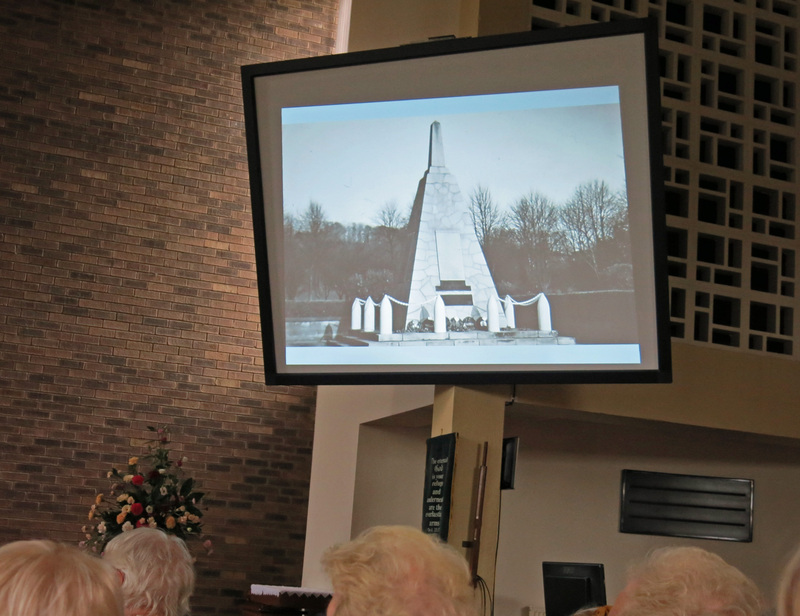 Ann Featherstone a retired lecturer and writer spoke about her lifelong interest in Fairs. 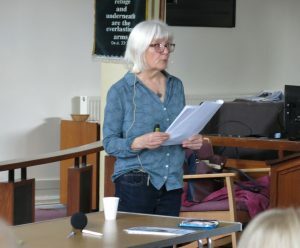 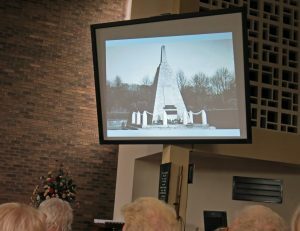 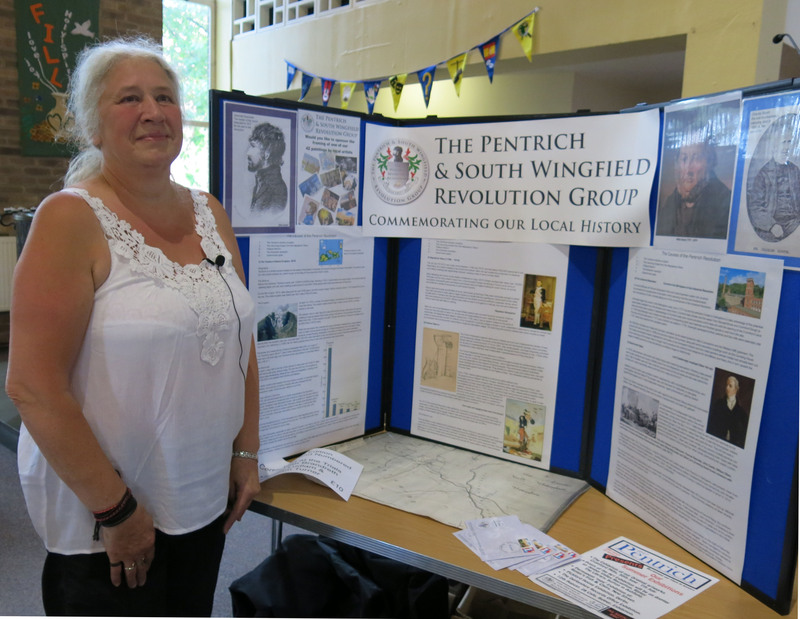 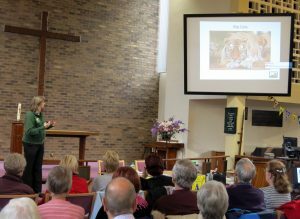 Sylvai Mason from the Pentrich and South Wingfield Revolution Group gave a very interesting talk about the people involved and what happened to them. 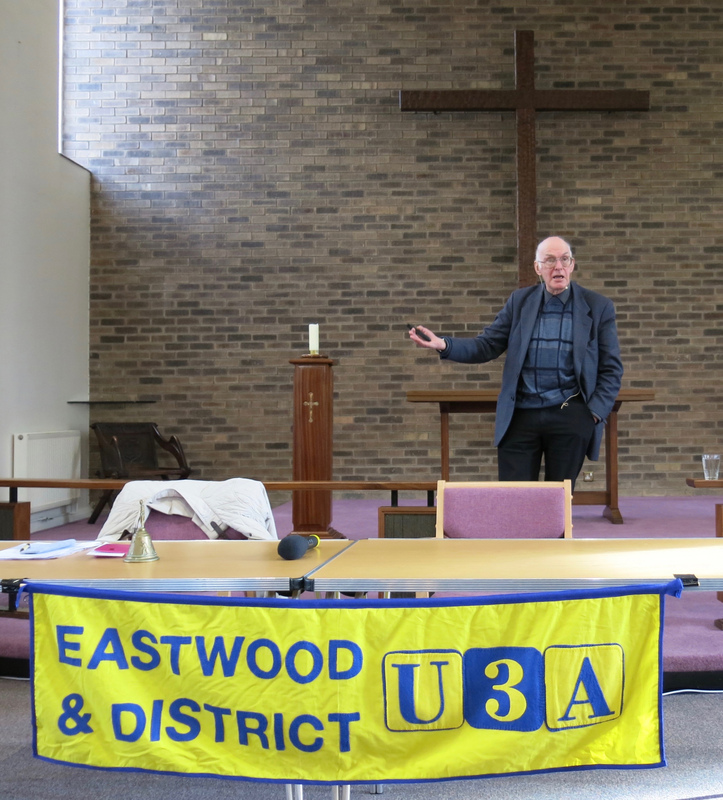 Ian Morgan, a Criminal Historian, took us on a journey along the old Great North Road through Nottinghamshire. 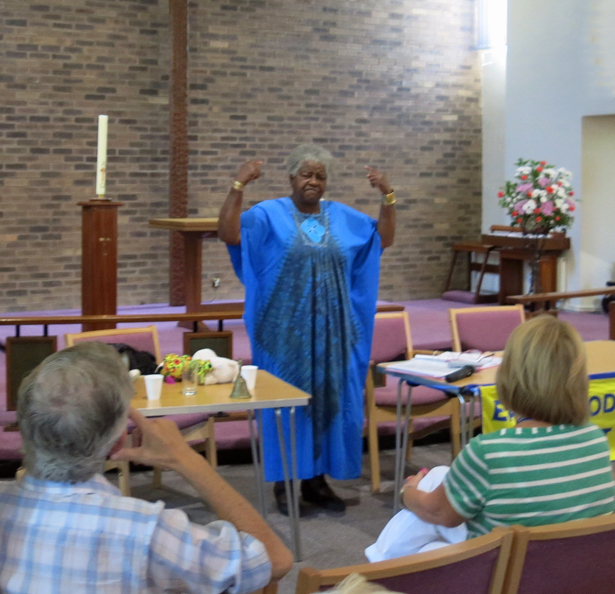 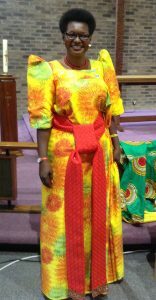 Hellen Adoa gave a very inspirational talk about her life from rural child to MP in Uganda. 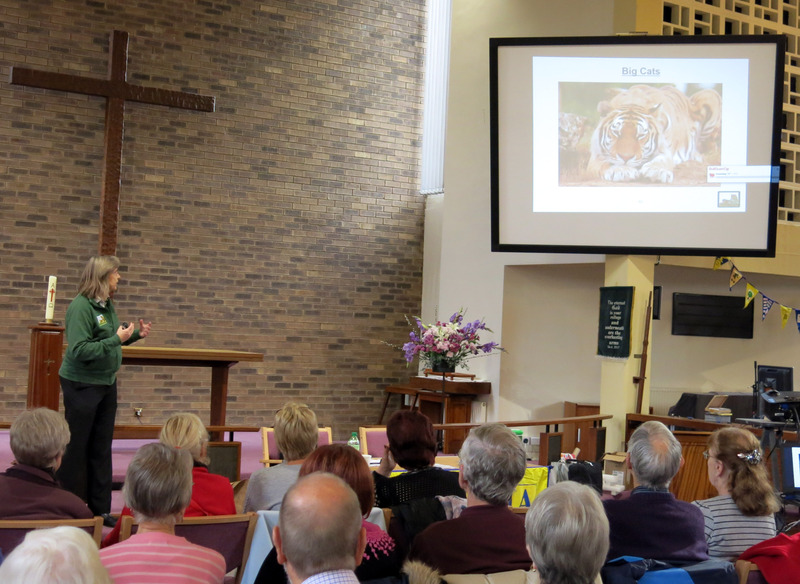 One of Barbara Meyer’s big cat photos. 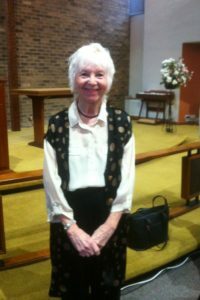 Pat Hall a stand-up comedienne and writer of amusing poetry, her stories are based on observations of life . Vince Eager, front left, spoke of his early life and how he became involved in the music industry. 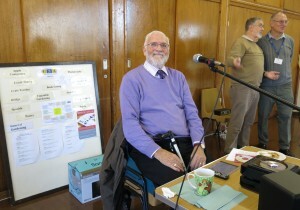 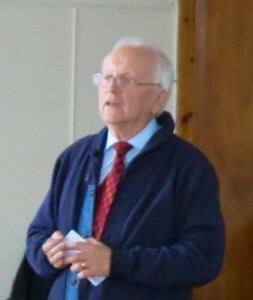 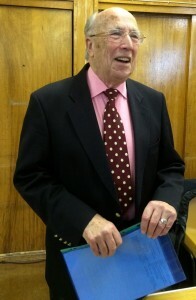 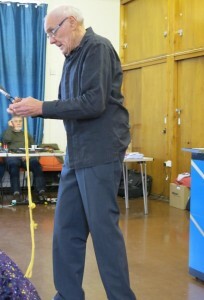 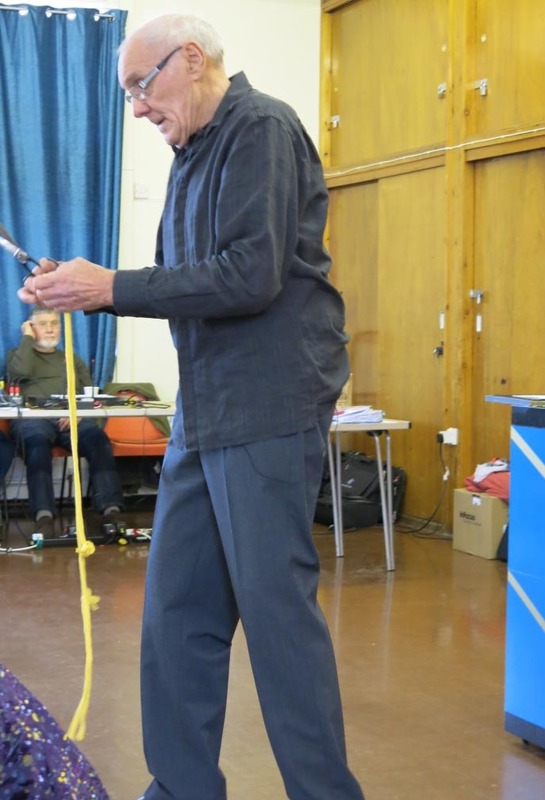 Bob Massey who gave a talk ‘Beside the seaside, beside the sea’, the history of seaside entertainment. Jack Perks wildlife photographer shared some of his favourite things he photographed, especially underwater life. 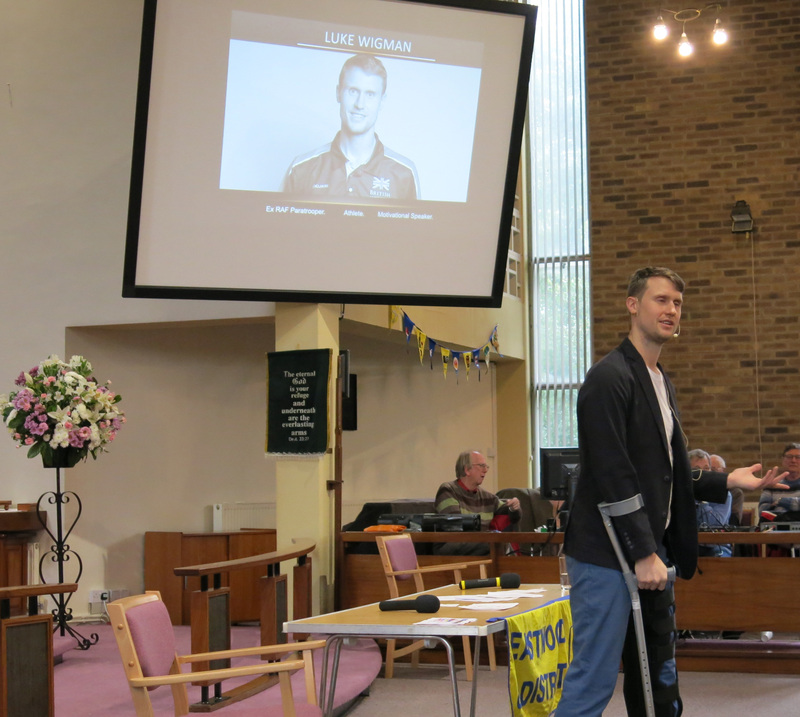 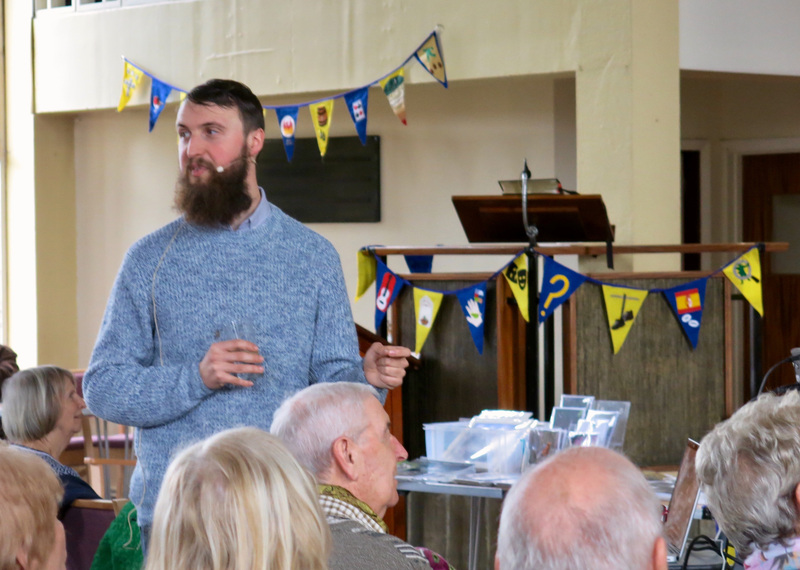 Luke Wigman inspirational speaker, a local service man. 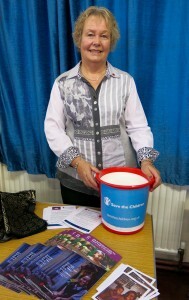 Now helping to raise funds for the new Defence and National Rehabilitation Centre as an Ambassador. Madge Spencer who talked about her life coming to England from Jamaica. Brian Fretwell local historian, published three local books. 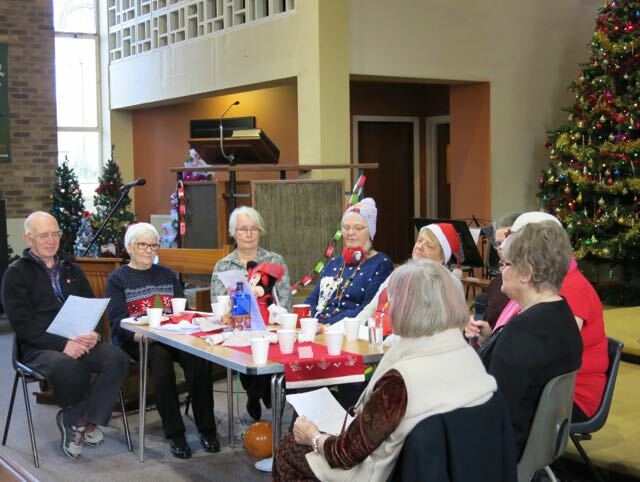 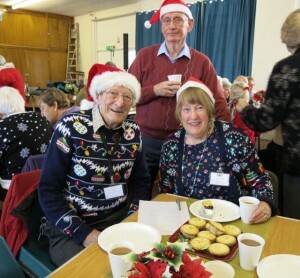 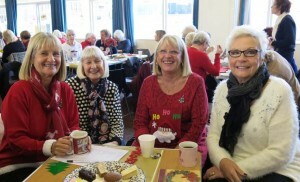 Local entertainer Ian Morton helped the Christmas celebrations. 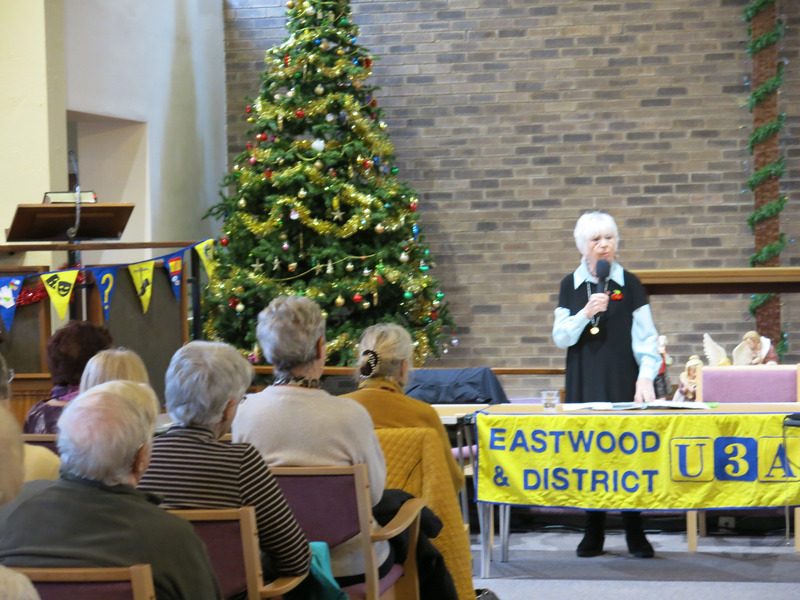 Pat Hall started 2019 with her funny anecdotes and experiences. 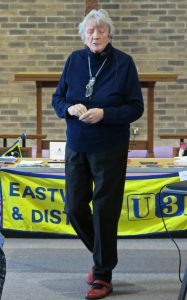 Barbara Daykin MBE gave a very interesting and amusing talk about her life leading to her receiving her MBE.